Moshe Ya'alon vows to use 'all means necessary' in crackdown on extremists in Samaria community. 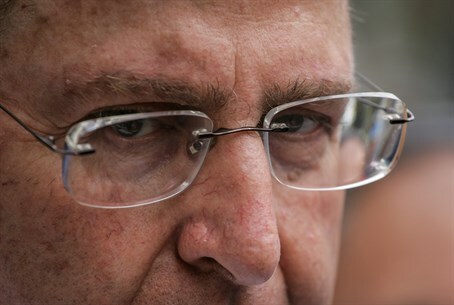 Defense Minister Moshe Ya'alon vowed to crack down on extremism in Yitzhar on Wednesday afternoon, calling the attacks near the Samaria community on IDF outposts a form of "domestic terrorism." "Israel will not tolerate such criminal activity, which is terrorism in every respect," Ya'alon stated, during a speech at an IAF-related ceremony in Nevatim Air Force Base. "We invest, and will continue to invest, the best resources at our disposal to fight an all-out war on this phenomenon and treat extremist and violent groups harshly [. . .] any connections [these groups] have with Jewish ethics or values does not exist." "We will use all means necessary to lay our hands on them and put them behind bars," he added. Several politicians and religious officials have called for the State of Israel to toughen security measures against the group of extremists in Yitzhar, who attacked IDF forces in the region Monday and Tuesday night. Ya'alon's comments surface just as the Attorney General's Office (AGO) is holding a special hearing on Wednesday afternoon over recent events in Yitzhar. The Chief of Police, the Central Command, the State Prosecutor and other senior security officials will be present at the hearing. Several key issues to the ongoing clashes between a small extremist group in the Samaria community and security personnel there will be discusses, including heightening police presence in the area, coordinating operations between law enforcement branches in the area to combat the cycle of violence, and allocating available resources. IDF and police forces will brief the staff present on the nature of 'price tag' attacks, as well as discuss the definition of 'nationalistic crime.' They will also discuss ways to streamline the prosecution process in the event more suspects are arrested, set procedures for these types of events, and enact stricter punishments for lawbreakers in the region. The AGO stated that this will be the first of several hearings on the issue.